We have featured the artwork in various incarnations, from original prints on eBay through to huge murals and artwork inspired by it. But if you just want a simply print of Chinese Girl by Vladimir Tretchikoff to frame yourself, it's been less easy to find. Until now. 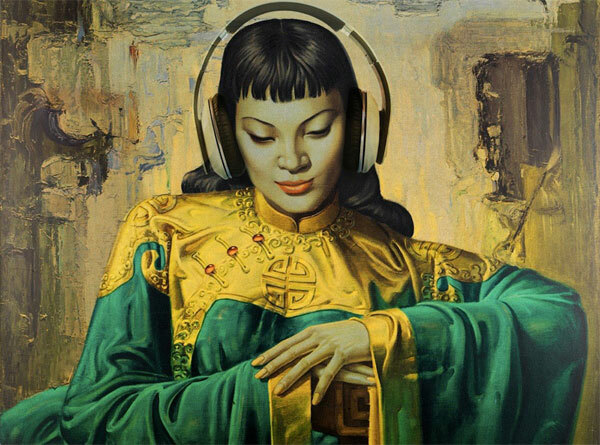 Type Tretchikoff into eBay and you'll be greeted with well over 100 results, including a number of prints of the iconic Chinese Girl by Vladimir Tretchikoff. But there is only one original – and it is up for auction at Bonhams this month. If you don't want to pay the constantly-inflated prices that the original goes for these days, you might be interested in the Tretchikoff-inspired Green Lady print by Stan Chow. The originals do indeed go for a price, especially when you consider it was bargain basement art – one here on eBay is priced at over £237. This print is a print inspired by Vladimir Tretchikoff's midcentury gem, with Chow adding his own pop art twist. Sized at 13 x 19 inches and printed on 100% Cotton Matte Archival 315gsm paper, you can pick it up for £20.